Silicone-free for Colour-treated hair.Formulated without parabens, our lightweight, siliconefree conditioner helps to effectively protect Colour-treated hair from becoming dull and locks in moisture, while helping to repair hair weakened by chemical processing. Infused with nutrient-enriched conditioning oils of Sunflower - known to contain powerful levels of Vitamin E and essential fatty acids - combined with apricot, a fortifying blend of Vitamin B3, B5, and B6, and a UV-protective filter, our Colour-preserving conditioner seals and protects hair to maintain smooth, shiny hair for optimal manageability and styling without unnecessary breakage. 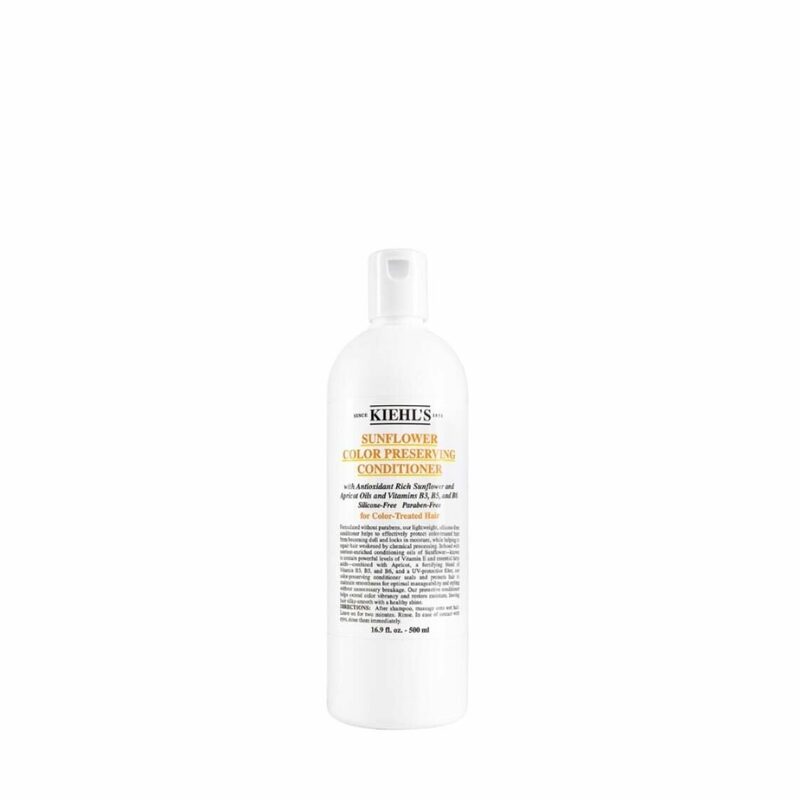 Utilizing a silicone-free formula which doesnt weigh hair down, our gently, yet protective conditioner helps extend Colour vibrancy and deeply moisturizes and detangles hair, leaving it silky-smooth and shiny. How to Apply : Gently work through the hair and leave on for two to three minutes Rinse with lukewarm water. Style as usual.